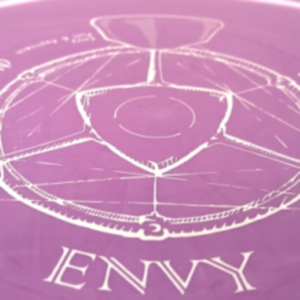 I think it will be little surprise to read the Envy from Axiom was a hugely hot disc that took 2014 by storm. (If annual “Best of” or “Top 10” lists didn’t annoy me so much I’m sure The Envy would have been named the Community Discs disc of 2014.) MVP had announced Axiom early in 2014 and just a few weeks later we had the Envy filling up disc bins and flying out the door too. Though MVP started off with the Ion putter (stable) and Vector midrange (overstable) in 2010 it generally tended towards stable-to-understable molds. There were certainly calls from fans to produce an overstable putter. Those calls were answered on January, 31st 2014 with the Envy by Axiom. The Envy is certainly no VP, Pig, or Zone but it is that perfect mix of stable-to-overstable that all levels of players can make use of. It is not the ideal putter to reach for when throwing full force into a headwind with OB on your understable side but it is the disc to reach for anytime you want to throw a controlled or moderately strong approach that has to stay straight without turning over. Is is an excellent choice for narrow wooded fairways and that extra dense Axiom/MVP overmolded rim is going to protect your disc when you happen to trail off course and bonk those pesky trees. The Envy has a noticeable bead and scoop in the wing. Just enough to add up to earning an overstable classification. I like Innova-like flight #’s and the Envy has some really great ones to compare. 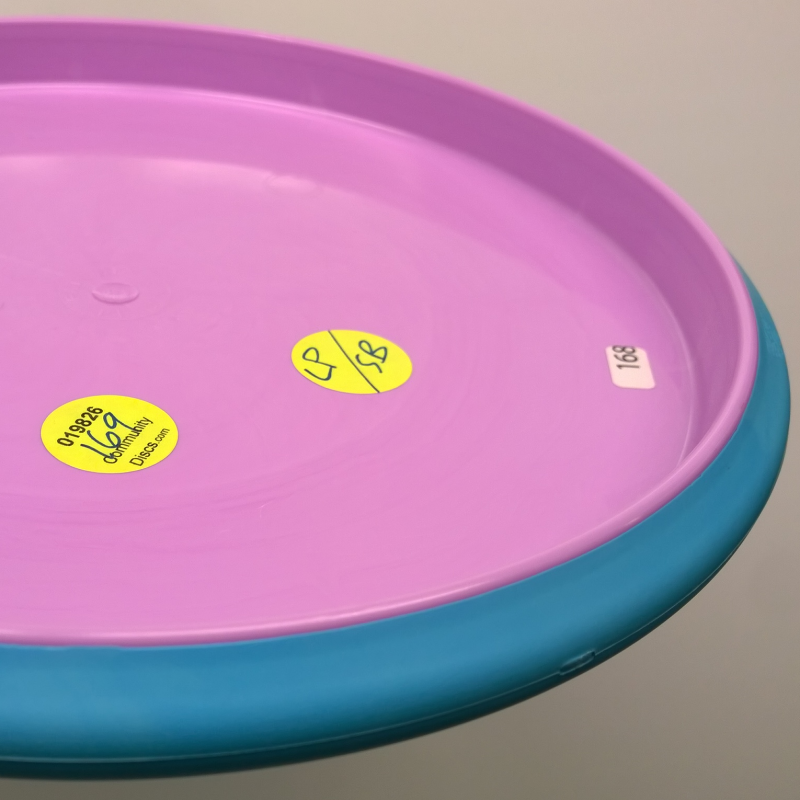 We’re looking at a Speed of 2 which is perfect for a putt & approach disc, a glide of 3 which is very nice for some longer approaches, where you want your disc to stay aloft a bit more, then a high speed turn of 0, & a fade of 2 which is just right for fighting a little headwind or extra torque on those approaches or drives from the tee. Axiom quickly capitalized on the popularity of its Neutron Envy and followed up that release with Proton, a limited edition Watermelon stamped Proton, & finally (in 2014) the first model (even before an MVP model) in Neutron Soft carrying us right through to the end of 2014. Axiom promised to feature stylish color combinations by varying color not just of the core/flightplate but also the rim which for all MVP discs had been only black (or white if it was an Eclipse/glow disc). If anyone was concerned that Axiom’s discs might be extremely similar to existing MVP molds or that they were to be just a pretty face with no substance then the Envy was the perfect disc for the first release day. The Envy quickly became as essential to players’ games as the legendary Roc & Buzzz. The new core & rim colors were simply a bonus! 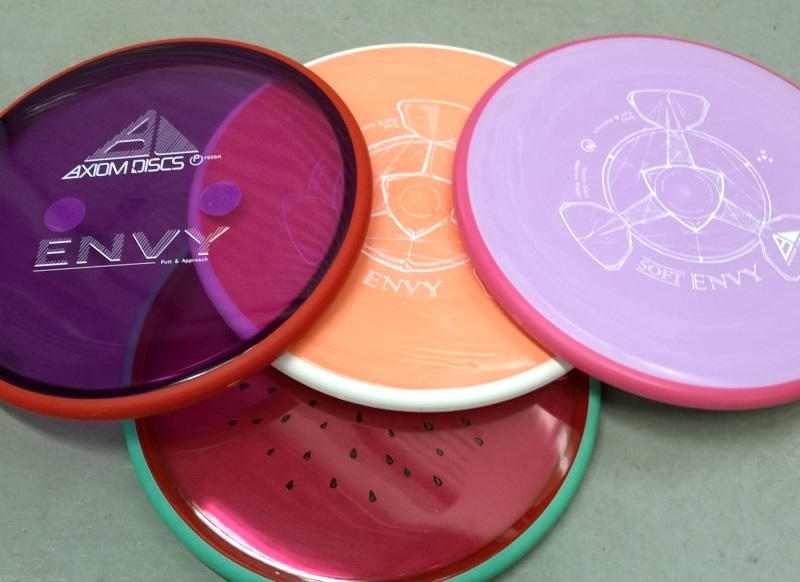 The Envy is an absolute must-try disc for everyone. Maybe it has too much glide to replace your Ridge, not enough to beat out your Pure, or is not a baseline enough plastic to replace your Wizard‘s feel but nearly everyone has a nearly perfect approach for the Envy on nearly every course. I hear CommunityDiscs.com/Envy has all sorts of Envies to choose from and shows a photo of every color combination too 😉 Sweet! 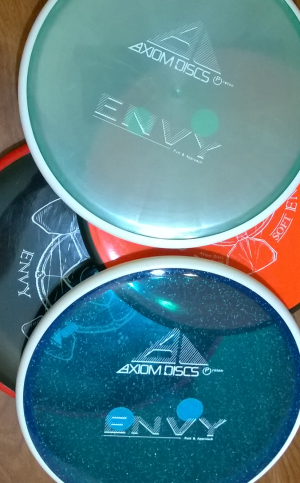 This entry was posted in Uncategorized and tagged Axiom, Community Disc Golf, Community Discs, CommunityDiscs.com, ComunityDiscs, Disc Golf, Envy, MVP, MVP Disc Sports, Neutron Soft. Bookmark the permalink.